I’ve long been intrigued by quinoa. It’s got a great story. Cultivated high in the Andes of South America over 5,000 years ago, quinoa is a whole grain that is a complete protein with all eight essential amino acids. It cooks quickly, which, combined with its nutritional benefits, have resulted in me keeping a bag of it as a staple in my pantry. The only problem: I’m not head-over-heels in love with quinoa’s taste. I find it a little bland. Before you cry slander, hear me out. I’ve given it a fair shake. 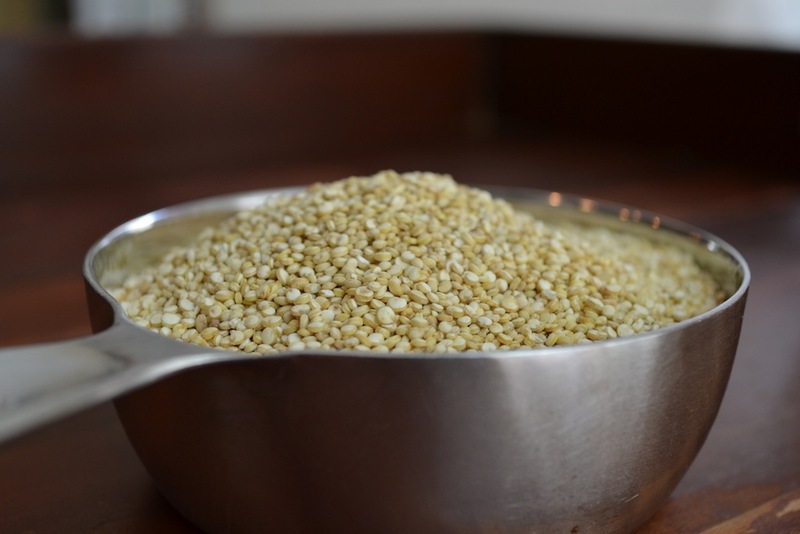 I’ve made quinoa pilaf and added the distinctive spiral-like grains to salads and soups. Yet when I stand in front of my kitchen cabinet, I’ll reach for time-consuming brown rice, chewy Farro, or bulgur wheat ahead of quinoa every day of the week. Or I did until I came up with this recipe for quinoa burgers. 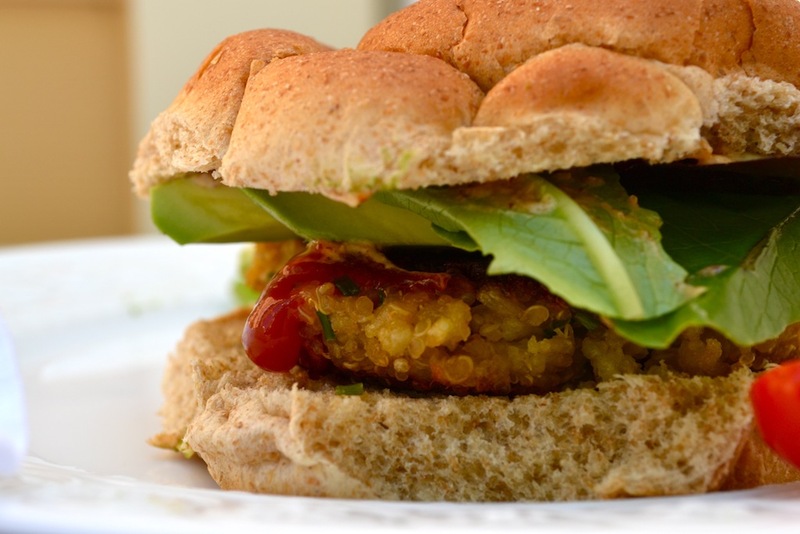 For those that have followed my blog for a while, you know my feelings on veggie burgers. They have a place on my plate, but I’m not giving up a juicy cheeseburger any time soon. And bad veggie burgers? Those dried patties with a cardboard-like taste and texture. May they perish in the freezer section. They won’t enter my home any time soon. So why try to combine quinoa and veggie burgers when I obviously have such conflicted feelings about them both? It goes back to that complete protein thing. Getting all 8 essential amino acids into your body without meat is difficult. It requires pairing foods that together deliver the complete proteins that you need. Beans and rice and peanut butter sandwiches are two prime examples. Beans, rice, peanut butter, and bread on their own won’t cut it, but pair them together and you get the complete protein that your body needs. Meat and quinoa don’t need a partner. They stand on their own when it comes to protein. Quinoa has more protein than any other grain and packs in all of those important essential amino acids. This means it is the perfect nutritional and vegetarian substitute for meat. The challenge comes in making it taste just as delicious. With that goal in mind, I sautéed onions and garlic and tossed them with cooked quinoa and panko in a large bowl. 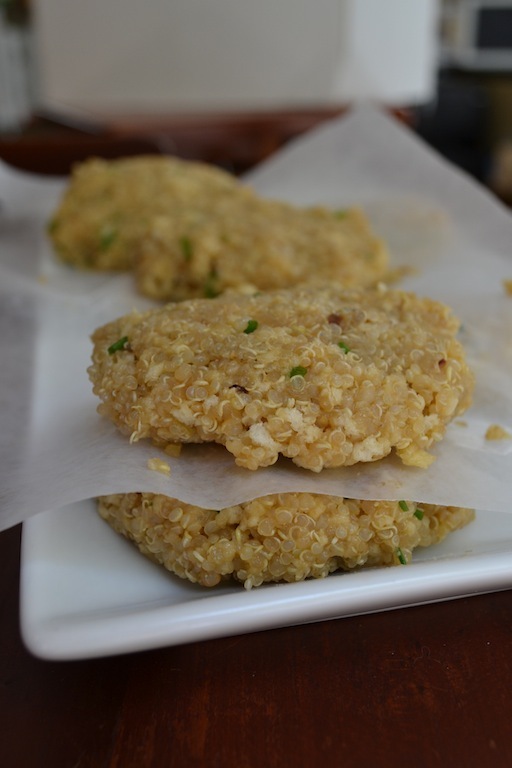 I added soy sauce, sugar, and a bit of sesame oil to flavor the quinoa and give the burgers an earthy meatiness. 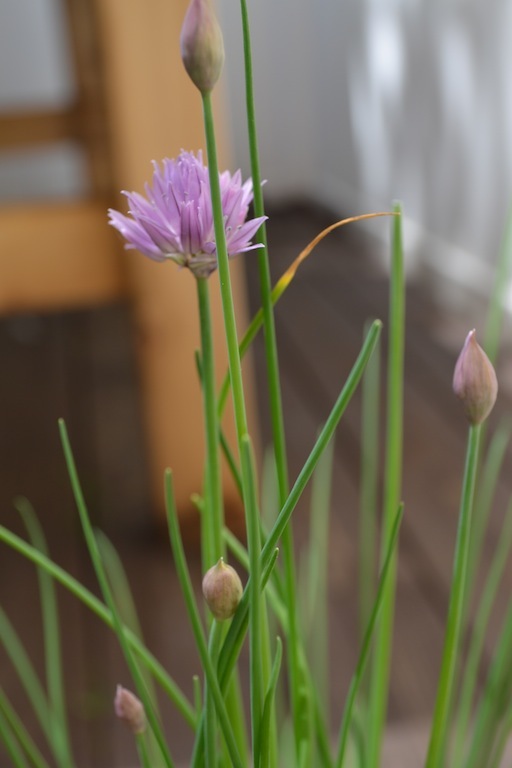 I added chopped chives for a little color and two beaten eggs to act as a binder. While you could bake the quinoa burgers off and get delicious results, I like to brown them in a little olive oil first. I take the burgers just past golden brown until the quinoa gets crunchy and mimics the charred bits that you’ll find on burgers cooked on the grill. 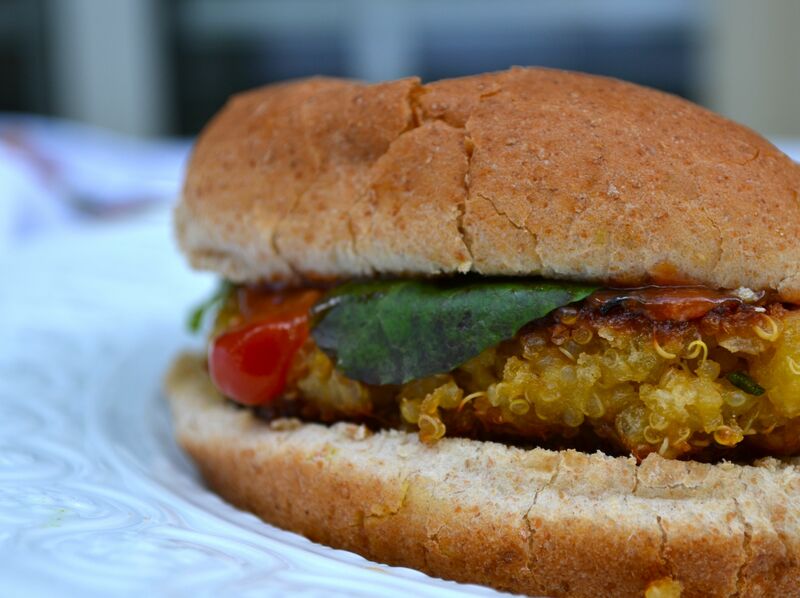 The resulting crunchy outside with a tender and succulent interior have led me to conclude that quinoa, while in my mind lacking in the side dish category, makes a great veggie burger. These patties can be made in advanced and kept in the refrigerator until ready to cook. Preheat the oven to 375 degrees. In a medium saucepan, combine the quinoa and water and bring to a boil. Reduce the heat to a simmer and cover. Cook the quinoa for 15 to 20 minutes or until tender, but still chewy. 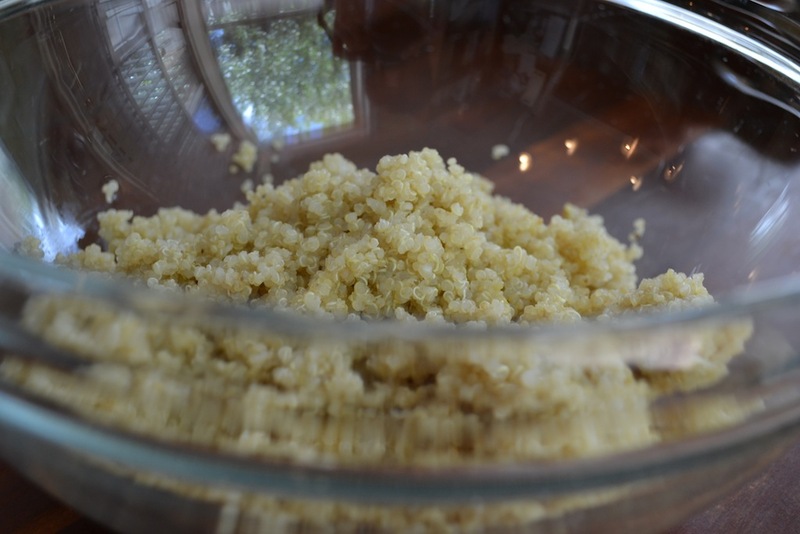 Remove from the heat and allow the quinoa to sit for 5 minutes. Scoop the quinoa out of the saucepan and let it cool in a fine mesh strainer. Place the cooled quinoa in a large mixing bowl. Heat the extra virgin olive oil in a medium skillet over medium heat. 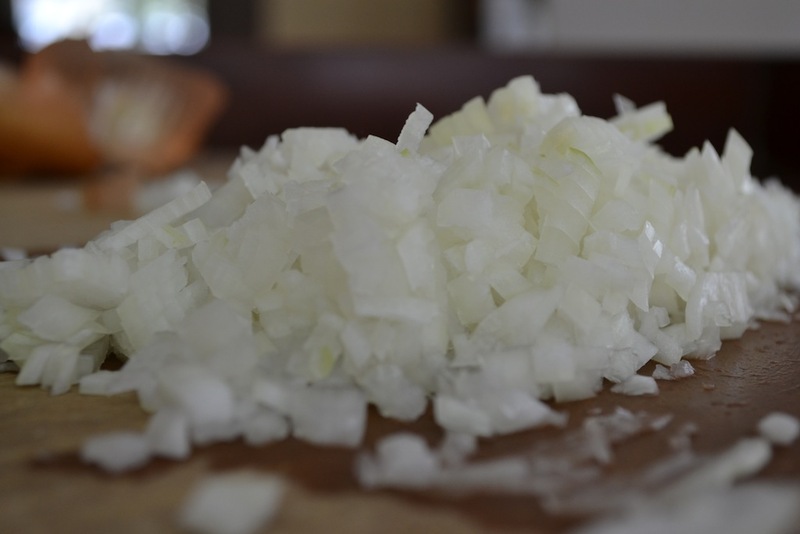 Add the onion and cook for about 8 minutes or until onions begin to brown along the edges. 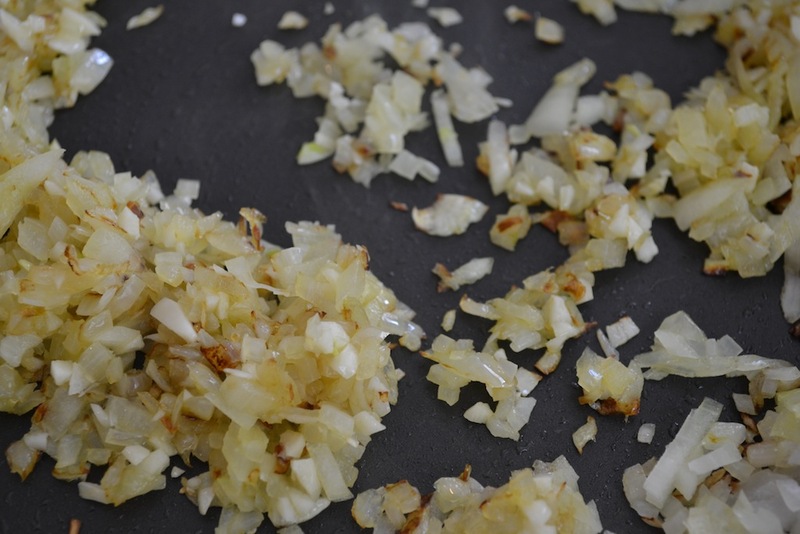 Stir in the minced garlic and cook for another 30 seconds or until fragrant. Remove the skillet from the heat and allow the mixture to cool. 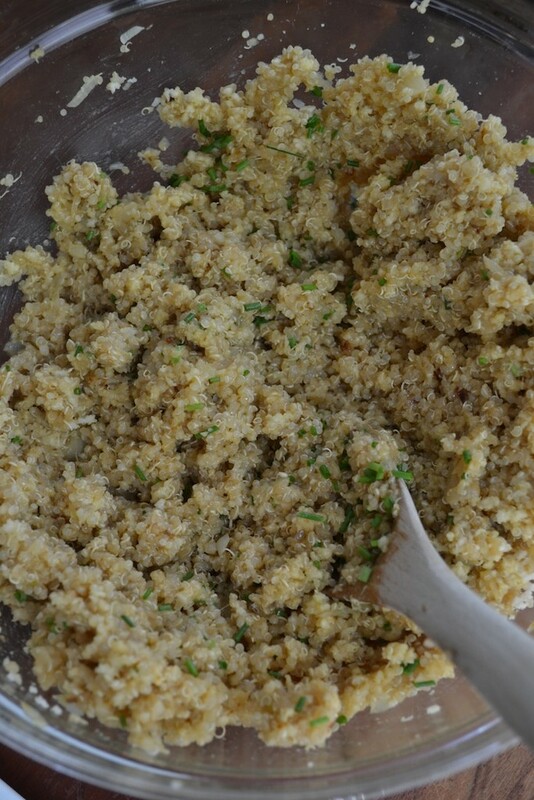 Add the garlic and onion to the quinoa with the Panko breadcrumbs, eggs, soy sauce, sesame oil, sugar, and minced herbs. Take a tablespoon of the mixture and form it into a small patty. The patty should just hold together. If mixture is too wet, add more breadcrumbs. If mixture is too dry, add a little more egg. Coat the bottom of a medium skillet in a thin-film of olive oil and heat over medium-high heat. Cook the small patty for two minutes on each side until cooked through. Allow to cool and then taste for seasoning. Adjust the seasoning as needed and then shape the remaining quinoa mixture into 8 patties that are about 3-inches wide and ½-inch thick. Set aside. Add more olive oil to the skillet, if needed (you need just enough to coat the bottom of the skillet with a thin-film), and heat until hot. Add half the patties to the skillet and brown on each side for about 1 to 2 minutes. I like to take the patties just past golden brown to give the patties a crunchy texture on the exterior. Remove the browned patties to a baking sheet and brown the remaining 4 patties. Once all of the patties have been browned, place them in the oven on the baking sheet and bake for 8 to 10 minutes until cooked through. Serve immediately on hamburger buns with your favorite toppings. Enjoy! I really want to try this. Looks very delish! Thanks, Vegetarian in Vegas! I’ve been eating them for lunch AND dinner this week and have been completely satisfied. 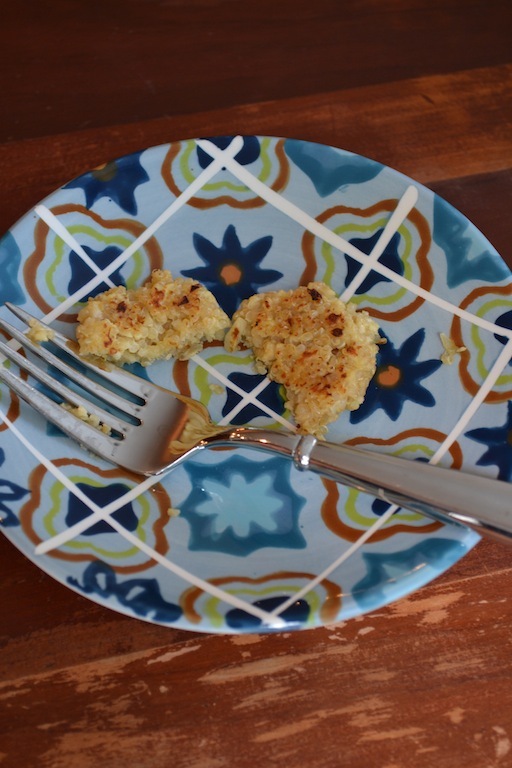 I’ve been looking for some things to do with with my quinoa–will have to try this! Definitely do and let me know what you think. Thanks for reading! I have the same problem… So I must try these burgers and see if I can befriend quinoa too! These sound fantastic. I am really enjoying some quinoa these days. I actually have made some breakfast dishes with it too. Maybe that could be a future post? I made these yesterday for dinner and ate the leftovers for lunch. They were so delicious!